A graduate of the esteemed University of “Ivan Pavlov” in Plovdiv Bulgaria, Dr. Mark Boukzam chose to continue his profession in the United States, where he completed his American National Boards and Licensing in 1985. Upon Completion, he began working under the tutelage of both Richard Douglas D.D.S and John Holston D.D S from 1985-1990, where he was able to hone his abilities as a clinician providing general and cosmetic dentistry in both Dade and Broward Counties. 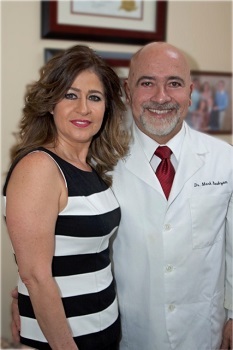 In 1988, he subsequently opened his own practice in Deerfield Beach and continues to serve the South Florida community by providing the best state of the art dental care available. As a member of the ADA, FDA and the Atlantic Coast District Dental Associate since 1985, Dr. Boukzam upholds and adheres to the ethics and principles of the dental profession and practices dentistry with the utmost care and passion. He believes that Dentistry is not only a job but a humanitarian mission that he strives to provide to his local community. A speaker of four languages (English, Bulgarian, Arabic, and French), Dr. Boukzam strives to communicate and provide unparalleled care to his patients, who he views and treats as if they were part of his family and takes great pride in the responsibility entrusted to him by his patients. A family- oriented practice, Dr. Boukzam has surrounded himself with an amazing and dedicated staff that guides their patients care with honesty, integrity, and professionalism. When Dr. Boukzam is not practicing dentistry, he loves spending time with his beautiful wife Soha, and his three lovely children Natalie, Ryan and Andrew. He also enjoys gardening, jogging and acting as a sous chef to his wife Soha, who loves to cook organic, wholesome vegetarian meals. 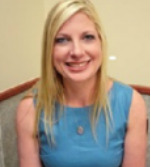 Dr. Lauren Mitchell received her Doctor of Dental Surgery Degree from Northwestern University in Chicago. She completed her General Practice Residency Program at Westside VAMC and University of Illinois Chicago related hospitals. Dr. Mitchell was the Dental Director for Sydney Hillman Health Center for Chicago union groups. Dr. Mitchell also practiced in private practice as well. After a few years of practicing general dentistry, Dr. Mitchell went on to attend Columbia University’s Post Doctoral Residency Program in Endodontics at Columbia –Presbyterian Medical Center. Dr. Mitchell was trained at Northwestern and Columbia Universities Dental and Medical Centers by some of the top and distinguished doctors and scientists in dentistry, endodontics specifically, and medical, human, and basic sciences. Dr. Mitchell has been a scientific presenter at the prestigious Chicago Midwinter Dental Meeting. Dr. Mitchell believes in giving back to the community through teaching. She taught for 15 years as adjunct faculty for the post doctoral endodontic residents and was an oral board examiner to the endodontic residents at Nova South Eastern University School of Dental Medicine in Fort Lauderdale. Dr. Mitchell also served as president of the South Florida Endodontic Study Club for five years. Dr. Mitchell practiced dentistry in New York and Chicago prior to moving to Florida. She has been practicing endodontics for over twenty years. When Dr. Mitchell isn’t working, she enjoys spending time with her two daughters.